In part one of this four part series, we looked at the story of the woman caught in adultery in John 8:1-11. It is a multi-faceted story between good and evil, religious law and grace, pride and humility, judgement and forgiveness. In a nutshell the religious leaders of the day were out to entrap Jesus, discredit him, and reclaim their following. They used a woman caught in adultery for their self-serving purposes. She was someone they considered expendable, weak, an easy target. In the end they were the ones discredited and skulking away in silence. She was declared free by the Freedom-Giver, Jesus. Anywhere there are human beings there will be scapegoating. In the workplace, families, religious institutions, educational facilities, politics….it happens everywhere. It can come from strangers or loved ones. Scapegoat-ers are unable to take responsibility for their actions. In order for them to maintain their reputation, power, a false-self, they are driven to deflect blame to someone else. The words, “I’m sorry….I was wrong”, are not in their vocabulary. I have visited with many scapegoat-ees over the years. I have been one myself. And sadly, regretfully, I have been in situations where my insecurities and fears of rejection have caused me to deflect blame to save face. I have listened to heart-wrenching stories in families who were torn apart by blamer-ers with their barrage of verbal abuse, unable to compromise or apologize, caught in the chains of pride and arrogance. I have seen unjust and unfair treatment of employees at the mercy of a power-hungry co-worker or manager. The employees were too desperate for their jobs to stand up for themselves, instead they cowered under the abuse, slowly losing their self-esteem and dignity and becoming modern-day slaves. Why me? How could they treat me this way? Why didn’t I stand up for myself? Who says things like that? Why couldn’t they just apologize? Why are they being so unreasonable? The questions echo over and over and over…. So, my coffee friends,…..when scapegoat-ers come calling…and they will….anchor yourself in your identity in Jesus to withstand the storm. The words of broken, angry, people have no power over you except what you give them. The Freedom-Giver, Jesus, has declared you free…..stand boldly in that freedom! Hey! 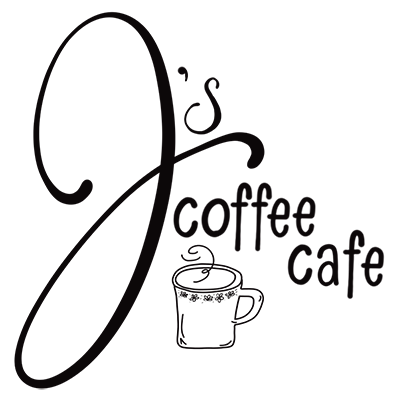 I'm Jeri, owner and manager of J's Coffee Cafe. I'm a blogger, an aspiring writer, business woman, and my passion is encouraging the weary and broken. My greatest joys come from being wife, mother, Nana, friend. I am a stumbling bumbling follower of Jesus. Oh, how He loves you and me with grace and mercy. Thanks for having coffee with me!